What's better than a dozen red roses? A single rose, lily, and gerbera daisy can have as much meaning as a dozen or more. 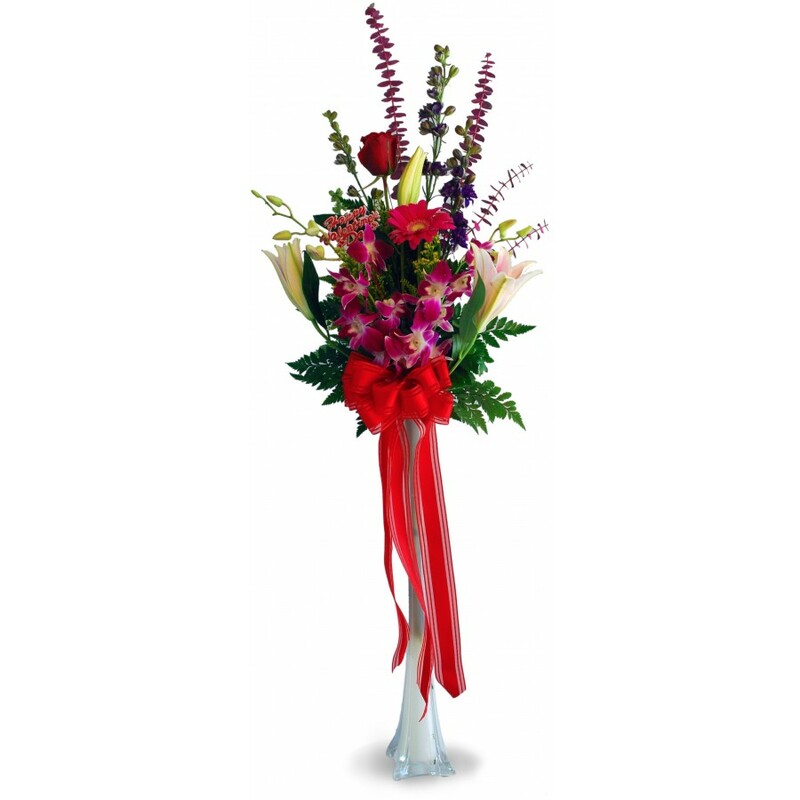 Let her know how much you love and respect her with our "My One and Only" floral arrangement. 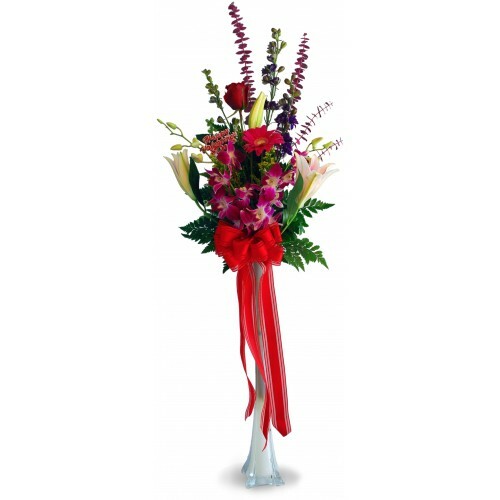 Included are one red rose, one pair of lilies, one pink gerbera daisy, dendrobrium orchids, and more! The arrangement is supported by a sleek white vase.